now reading: Is the Big Dipper Really a "Big Dipper"? Is the Big Dipper Really a "Big Dipper"? Many children first curiously gaze up at the night sky to "connect the dots." When they do, they see a wondrous array of pictures: animals, hunters, objects, gods... the stars are alive! 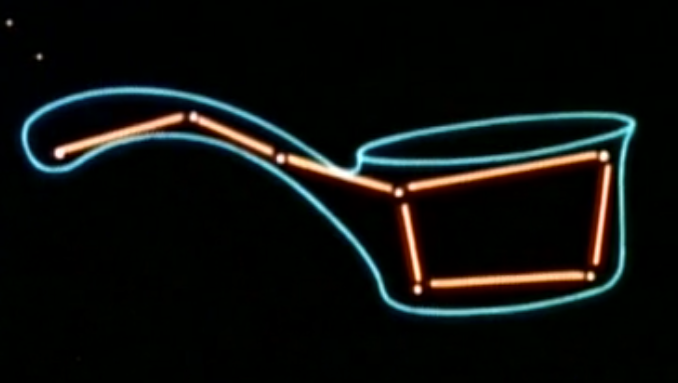 To kids in North America, one of the most recognizable pictures is the Big Dipper. Formed of the stars Dubhe, Merak, Phecda, Megrez, Alioth, Mizar, and Alkaid, the ladle-like image is actually part of the larger constellation Ursa Major. The Big Dipper is not an official constellation; it's an asterism, basically an unofficial constellation. And since it is unofficial, that means cultures all over the world see the Big Dipper quite differently. 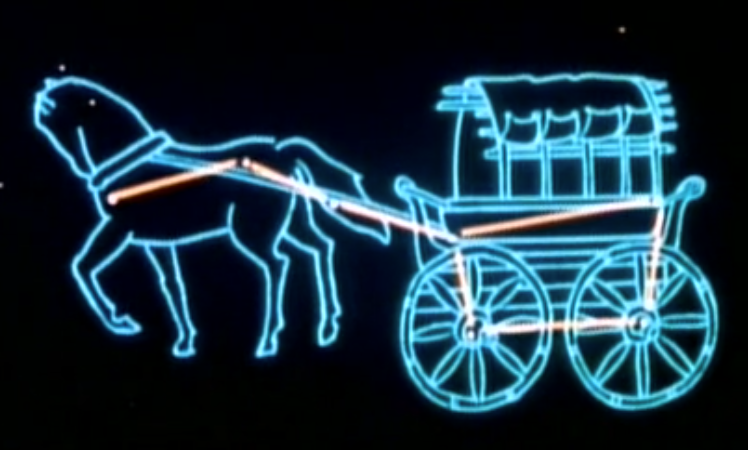 In Germany, Scandinavia, Romania, Hungary, and Italy, children are introduced to the set of stars as an enormous wagon. 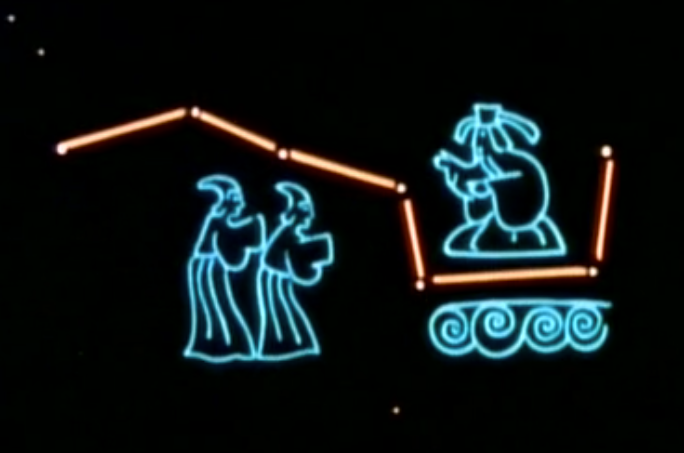 Some in China see Wenchang Wang, a Taoist deity, accompanied by two attendants. In Ireland and the United Kingdom children look up and see a "starry plough." There's more! In Burma, many see a crustacean. Some Arabs in the Middle East see a coffin with three mourners standing nearby. Astronomers following traditional Chinese astronomy see the "Right Wall of the Purple Forbidden Enclosure." Before we knew that the stars were fiery suns far, far away, humans placed their mythologies, stories, and deities in the seemingly unchanging night sky. Even to this day, millions look to the stars and constellations for fortune-telling and guidance. But constellations care not for the goings-on of earthlings. In many thousands of years, the constellations we know and place our faith in will no longer be around. That's because the stars that we see (including our Sun) are moving, orbiting about the massive center of the Milky Way Galaxy, which is brimming with bright stars and gigantic black holes. The stars in our sky aren't all moving at the same speeds or in identical directions, however. This means that in hundreds of thousands of years, the stellar pictures we know will be gone. "Every constellation is a single frame in a cosmic movie," Carl Sagan commented in Cosmos, "but because our lives are so short, because the stars' patterns change so slowly, we tend not to notice it's a movie." 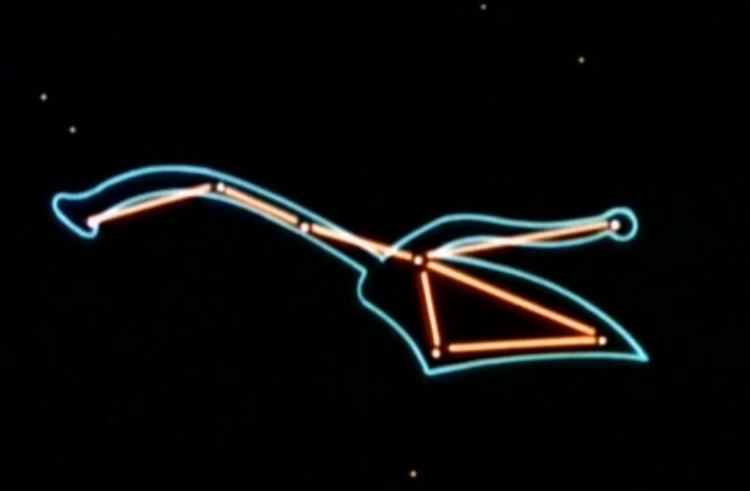 "A million years ago, there was no Big Dipper." And in tens of thousands of years, the Big Dipper will exist no more, yet again. "The star at the end of the handle and the one at the far tip of the bowl happen to be moving in the opposite direction from the other stars in the Big Dipper," NASA Dawn Mission Director and Chief Engineer Marc Rayman wrote. "In the future, the handle will appear to be more bent, and the bowl will spread out. To me, the shape in 50,000 years will be more like that of a tadpole than a dipper."